You are about to embark on a wonderful journey. We are excited for you and are honored to be part of your magnificent day! Create the wedding of a lifetime, right here at the Marcus Center for the Performing Arts. World class performances are a daily occurrence at the Marcus Center, and that’s exactly what we have in store for your wedding celebration. You can orchestrate every part of your celebration within these stunning facilities, saving your guests travel time between separate ceremony and reception locations. We provide a breathtaking setting for picture opportunities and world class food and beverage for your reception. one of the most important days of your lives, and we treat it with the utmost care and the respect that it deserves. Detailed on the following pages you will find various wedding packages, culinary delights, service styles and beverage options designed to give you ideas for your event. As you meander through the pages and imagine the day, please keep in mind that we want to make this your special day. With that in mind, if you don’t see exactly what you had hoped to have listed on our menus, please don’t hesitate to ask. It is always our pleasure to customize something specifically to your needs. With award-winning, professionally trained chefs and planners (our cast), the possibilities are limitless to make your production the memorable event that you imagined! We’ve taken the time to craft a handful of wedding packages for wedding celebrations of different sizes and styles. Use them as inspiration to bring your own vision to life, or sit back and relax knowing you’ve selected a menu primed for success. The Proposal package - Our Most Popular! The I Do package - Our Best Value! Offered as an enhancement to your dinner service, our hors d’oeuvre packages are a great way to welcome your guests to your reception. Packages are served for one hour prior to dinner service. Service styles and menu items are open to modification and, as with everything in our menus, are completely customizable. We’ve taken the time to craft a handful of wedding packages for wedding celebrations of different sizes and styles. Use them as inspiration to bring your own vision to life, or sit back and relax knowing you’ve selected a menu primed for success. Each buffet comes with your choice of hand-served salad, buffet-served salad, seasonal vegetable, rolls and Wisconsin butter, and accompanying starch for your entrée selection(s). For increased variety, add a second carved meat selection for $6 per guest or an additional entrée selection for $4 per guest! Please see the next page for buffet collection entrée options. Our famous baby backs– Milwaukee’s favorite for over 40 years! Family-style selections are an inviting alternative to buffet-style service at a similar pricing structure. Provide your guests with an intimate dining experience that encourages camaraderie and connection without sacrificing elegant service and buffet variety. Family-style services include a plated salad of your choice, one seasonal vegetable, and one starch. Choose one item from our table-served salad selections on the following page. Accompanied by an assorted artisan roll and bakery basket with Wisconsin butter. Fresh garden salad with creamy parmesan dressing table-served to start dinner. Beer-battered Atlantic cod, french fries, potato pancakes with apple sauce, creamy coleslaw, and rye rolls. No side selection substitutions are available with this menu selection. The following salads will be served at your table with assorted artisan rolls and bakery, and will be accompanied by Wisconsin butter. Plated dinners include pre-set or table-served salad from the preceding salad selections and fresh bakery baskets with Wisconsin butter prior to dinner. All entrées are served with your choice of seasonal vegetable unless indicated. Incorporate elements of style and décor into your menu with interactive, chef-prepared food stations. Browse our wide array of stations to create the perfect dining experience. In addition to the many selections we’ve presented here, we’d be happy to create something perfectly suited to your vision. All stations include basic themed décor, linens, and station equipment. Simple floral décor is also included to match the style of your event. Add a table-served green salad to kick off your guests’ journey for an additional $3 per guest. Other enhancements are available – let your imagination run free! A minimum of four stations is required to serve groups of 175-250. A minimum of five stations is required for groups of 250 or larger to facilitate optimum guest service. These packages are served for one hour of your choice and are applicable only as an enhancement to an existing dinner menu. A celebration is just not complete without some libations to enhance the festive ambiance. From basic soft drink and water packages to fully-hosted open bar and one-of-a-kind signature cocktails, we’ve got something for every craving. Please note that the Marcus Center does not permit the carry in of outside beverages under any circumstances – all beverage service must be provided by our professional, licensed bar staff with product supplied expressly through Sazama’s Fine Catering. Detailed product lists are available on request. Should you have a special beverage request, our event designers welcome the opportunity to make your liquid vision reality… perhaps with a few fun recommendations along the way! All packages are priced per guest, unless otherwise indicated. Beverage package pricing is valid for 100 or more guests. Please connect with your event designer for smaller group pricing. Package pricing includes products served at the bars only; should you wish to have wine or champagne butler-passed or served at the table during dinner, this will be billed per bottle based on standard pricing. An upgrade to the standard beer, wine, and soda package, this package celebrates Wisconsin’s own breweries and wineries. Select 3 beers and 3 wines from the following local talents for the optimal Wisconsin experience. Consult your event designer for a complete list of available products. Seasonal products may not be available. Beverage package pricing is valid for 100 or more guests. Please connect with your event designer for smaller group pricing. Package pricing includes products served at the bars only; should you wish to have wine or champagne butler-passed or served at the table during dinner, this will be billed per bottle based on standard pricing. Select and premium wine lists are available – please inquire for a detailed list. Bar service at The Marcus Center for the Performing Arts ensures your event will be staffed with experienced, friendly, courteous, uniformed, licensed, and trained bartenders. Bar staff will not serve those who appear intoxicated, those who cannot produce valid ID, or those who are under the legal drinking age. Bartenders reserve the right to refuse service to unruly or otherwise uncooperative patrons at their discretion. All bar equipment (including standard glassware) and product are included in your pricing as indicated in the relevant services contracted. Last call will be thirty minutes prior to your event end time. Bar service will conclude at the time noted on your contract. Standard service charges and applicable sales tax will be added to total bar balance. In addition, there will be a $100 fee charged per bartender (group size will determine the number of bartenders needed and is up to the discretion of Sazama’s Fine Catering Management). Bartender fee for hosted bars will be waived, provided total bar sales equal $500 or more per bar setup. Bartenders do accept gratuities as part of their livelihood and will display tip jars at your event. If you prefer that we refrain from this practice, please alert your event designer and he or she will add a $14 per bartender, per hour (including set up and tear down) gratuity fee in lieu of tip jars. Purely cash bars are subject to a $500 sales minimum per bar setup. Should your bar not meet this minimum, you will be responsible for the difference and will be invoiced accordingly. A bartender service fee of $125 per bartender will be charged. Bartenders do accept gratuities as part of their livelihood and will display tip jars at your event. If you prefer that we refrain from this practice, please alert your event designer and he or she will add a $14 per bartender, per hour (including set up and tear down) gratuity fee in lieu of tip jars. All pricing in this menu is based on groups of 150 or larger. Food and beverage minimums and room rental rates vary depending on the details of your particular event. Should your final menu not meet the minimum requirements for which you are contracted, you will be invoiced for the difference. Food and beverage minimum does not include applicable sales tax, room rental, or items unrelated to food and beverage. Minimums are inclusive of all food, beverage, and applicable service charges. Sazama’s Fine Catering requires that a signed contract accompany your initial event deposit. Your event date is not considered secure until Sazama’s is in receipt of both contract and deposit – dates will not be held and prospective clients are not guaranteed a first right of refusal. The initial deposit required is equal to your full room rental fee. Final guest count and menu may be modified up to 15 business days prior to your event. Final Deposit – 100% of remaining balance, due 15 working days prior to your event date Please note that all events require payment in advance of services, unless previous arrangements have been made. Anticipated post event charges will require a verified credit card to be held on deposit. Ancillary charges will be processed via the card on file within 30 days following your event, unless another form of payment is presented prior to your event conclusion. Deposits are non-refundable. If unforeseen circumstances necessitate the cancellation of your event, your deposit will be retained until the date has been re-booked by another party. If the date is not re-booked, your deposit will be forfeited. In the event of an occurrence beyond the control of Sazama’s Fine Catering at the Marcus Center, neither entity shall be held responsible or liable for any loss or damage of any kind resulting to the client or client’s guests, invitees, agents or employees of such occurrence. In the event such occurrence renders the Marcus Center uninhabitable, Sazama’s Fine Catering, the Marcus Center and the client agree to reschedule the event at a mutually agreed upon date and time. All deposits will be applied to the rescheduled wedding without penalty. In the event the wedding is unable to be rescheduled to a date suitable for all parties, all deposits remitted will be refunded. For the purpose of this agreement, such occurrences include, but are not limited to; acts of God, natural disaster (i.e. fire, hurricane, or flood), war riot, or any other similar event beyond the control of either party. Food and beverage is subject to a 22% service charge and applicable sales tax of 6.1%. Service charges are applied to labor and other associated expenses and are not a gratuity. Gratuity is left entirely to the discretion of the client. Should you wish to extend a gratuity to the staff for your event, your event designer or manager can assist you in doing so. Final details, including guest count, menu selections, room diagram confirmation, itinerary, rental requirements, final payment, and any other information important to the success of your event, are due to your event designer or the Sazama’s office no less than 15 business days prior to your event. The final guest count is the minimum number of guests for which you will be charged and, along with any other associated charges, will determine your final balance due. After this time, your guest count may be increased, but not decreased, pending the availability of product, equipment, and staff to accommodate your request. All menu selections in this packet include the following items in addition to what is listed on each package. Some restrictions apply. All china, flatware, and glassware associated with our services. This includes our stock pattern of china, flatware, and glassware. Upgrades are available for additional cost for china, flatware, and glassware. All tables at your event will be clothed with white, black, or ivory linen tablecloths (120” round) and dinner napkins, as well as choice of white, black, or ivory tablecloths for your cake, gift, and head tables. Various linen color and pattern upgrades are available for additional cost and can truly enhance your event. Your wedding cake cut and served by our staff at no additional charge. Cake must be provided by a licensed bakery. State law requires no personal food items be allowed to be brought in and served. Formally dressed and professionally trained wait staff and personnel. Attractive, professional, elegant serving lines and stations. Coffee service with dinner- includes regular and decaffeinated coffee, plus hot tea and milk on request. Per Sazama’s policy and the policy of the State of Wisconsin Health Department, no left over food is permitted to leave the premises following an event. This is in an effort to safeguard against inadvertently improper food storage by guests and subsequent food safety concerns. All food product served during the course of an event becomes the property of Sazama’s Fine Catering. As such, Sazama’s does not provide to go containers. This menu is designed to give you a taste of what Sazama’s can offer your event. A wide variety of other menus or an entirely custom creation are available at your request. Had something particular in mind? The culinary staff at Sazama’s welcomes the opportunity to personalize a menu based on your vision, your traditions, your favorites, or just something you think would be a perfect fit! Children’s, Vegetarian, Hors d’Oeuvres, and Dessert menus are available, and we are happy to work with any dietary restrictions you or your guests may have. We are here to serve you – our guest – and your request is our pleasure! Sazama’s Fine Catering offers special discounted pricing for most Friday Weddings throughout the year and for Saturday Weddings during non-peak times. Please consult your representative to learn how you can save substantially during non-peak times! Additional service charges will apply to the following dates: New Year’s Eve, New Year’s Day, Christmas Eve, Christmas Day, Thanksgiving, Labor Day Weekend, Memorial Day Weekend, Easter Weekend, or Fourth of July weekend. Service charges are billed at 1.5 times the standard rate. If valuable items are to be left in the event space for any duration of time, it is recommended that a security firm be retained at the client’s expense.  Sazama’s Fine Catering is happy to recommend vendors with whom we have previously worked, and retains the right to review, approve, coordinate, and monitor and supplemental security services. Sazama’s Fine Catering or the Marcus Center for the Performing Arts will not be held responsible for lost, stolen, or damaged property. Decorating is permitted with pre-approval by your event designer. Open-flame candles are strictly prohibited; however, completely enclosed candles are permitted. Banners or items for display cannot be attached to walls, floors, windows, or ceilings with nails, tape, or any other substances that may cause damage. Confetti cannons, smoke machines, and fog machines are prohibited. Availability of rental spaces within the Marcus Center is subject to its confirmed schedule of events. A rehearsal time will be agreed upon within 30 days preceding your wedding based on venue availability. The minimum amount of time allotted between events is 2 hours. We will inform you of the earliest permitted set up time for your event. Any vendors bringing in items for your reception are responsible for handling the setup of their items. This includes, but is not limited to; florists, entertainers, bakeries, photographers, and friends of the family. Advance coordination of desired access time with your event designer is strongly recommended to ensure a seamless load-in and setup. Bar service concludes no later than 11:30pm or the time stated on your contract. All guests must vacate the premises by midnight, unless other arrangements have been made. You are responsible for making arrangements with your vendors for tear down and item removal at the end of your reception. Any centerpieces, decorations, or equipment must be removed upon the conclusion of the event unless prior arrangements have been made, as items may not be stored in the hall overnight. Items remaining in the event space following the close of your event rental period become the express property of Sazama’s Fine Catering, unless prior arrangements have been made. Audio visual equipment may be rented through the catering department. Approval by Sazama’s Fine Catering and the Marcus Center for the Performing Arts is required before any outside AV equipment will be allowed on the premises. A parking structure is located directly north of the Marcus Center for the Performing Arts, on State Street. It is connected to the Marcus Center by a third floor skywalk. If you wish to offer complimentary parking to your guests, please contact the catering department for details. Due to the location of the theaters at the Marcus Center, there is a music policy in effect which states that any contracted band or DJ must play at a sound level dictated and agreed to by the Marcus Center and Sazama’s Fine Catering management. Therefore, your entertainment must be pre-approved by your event manager prior to contracting them. Sazama’s often takes photographs of events, food and beverage displays, and table settings. By contracting our services, you give consent to Sazama’s to copyright, use, and publish photographs for marketing and illustration purposes. Should your event incorporate sensitive or confidential displays, please notify your event manager of these areas and any specific off-limits photography. If you would prefer that we refrain from publishing photographs of your event or guests, please let us know in advance of your event date. Due to fluctuating market conditions, pricing within these menus is subject to change and are only valid for 120 days. Menus are evaluated and changed once per calendar year. Should your pricing change, we will notify you in writing of any menu changes. In addition, with deposit, we guarantee that pricing will not go higher than 5% above listed pricing at the time you book your event. How About a Big Weekend! From your rehearsal dinner to your post-wedding brunch, let the experts at Sazama’s Fine Catering turn your wedding day into your wedding weekend. Inquire with your event designer to discover how Sazama’s can work with your style and vision for the celebration!